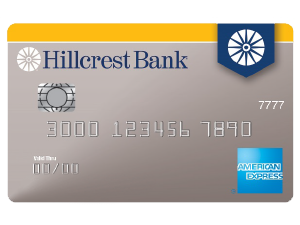 At Hillcrest Bank, you now have the ability to make a choice to get exactly what you want out of a credit card. Whatever your unique needs are, we have the credit card that is just right for you. Whether you are looking for reward points, cash back, or an extended introductory offer, you can find it all right here at Hillcrest Bank. Finding the right card that fits all of your wants and needs has never been easier. Apply for a card today! 2Bonus rewards points or cash back will be applied 6 to 8 weeks after first purchase and are not awarded for balance transfers or cash advances. One-time bonus rewards will be awarded after eligible net purchases totaling $1,000 or more are made to your account within three months from account opening. 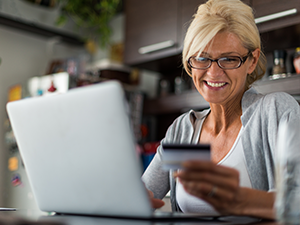 4Real Rewards: You will earn 1.5 Reward Points (“Points”) for each dollar of eligible Net Purchases made with your Account within a billing cycle (equal to 1.5% cash back). Monthly net purchase points will be applied each billing cycle. Points expire five years from the end of the quarter in which they are earned. 5Premier Rewards Card Points: You will earn 1 Reward Point (“Point”) for each dollar of eligible Net Purchases charged to your Account during each billing cycle. You will also earn 1 additional Point (for a total of 2 Points) for each dollar of Net Purchases charged to your Account during each billing cycle at merchants which categorize their business as a service station or automated fuel dispensers. You will earn 2 additional Points (for a total of 3 Points) for each dollar of Net Purchases charged to your Account during each billing cycle at merchant locations that are classified in the merchant category code of airlines. You will earn 3 additional Points (for a total of 4 Points) for each dollar of Net Purchases charged to your Account during each billing cycle at any merchant classified as a restaurant. Points expire five years from the end of the quarter in which they are earned. 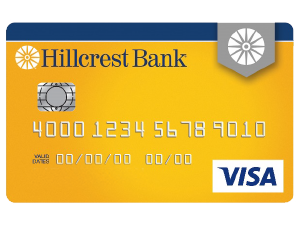 Click here to log in to your Hillcrest Bank credit card account. 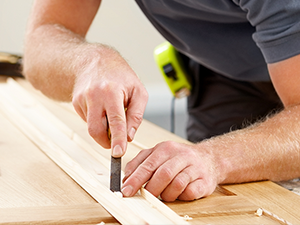 Want to get more out of the equity in your home? We have the perfect solutions for you.